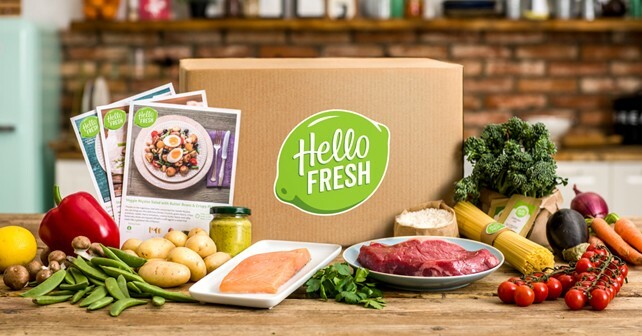 Every week, HelloFresh deliver recipes to your door with all the ingredients you need to cook delicious dinners. Simple! Every week HelloFresh create new recipes with photos of every step for you to cook quick, delicious, nutritious meals at home. They do all the thinking and planning so you’re just left with the fun bit: easy home cooking and eating! After a long day, trudging around the aisles of a supermarket and plucking slightly random combinations of ingredients from the shelves, is a waste of your time. With HelloFresh, you can relax and use that time for whatever you like while they source all the ingredients for your recipes from their legendary suupliers and pack the exact quantities you need for your recipes. There’s no waste and they hunt down speciality produce that you won’t find in the supermarkets. Post just got fun again! It’s like a year long Christmas as they deliver all their tasty recipes and ingredients to your door in a chilled recipe box every Sunday, Monday, Tuesday or Thursday. Delivery is free too! Everyone should be able to cook great meals at home and that’s why they’ve made it their life’s mission to make cooking easy and fun! Using their step-by-step recipe cards you’ll learn delicious new recipes every single week from the comfort of your own kitchen. Let them do all the hard work and start your cooking adventure with them today!